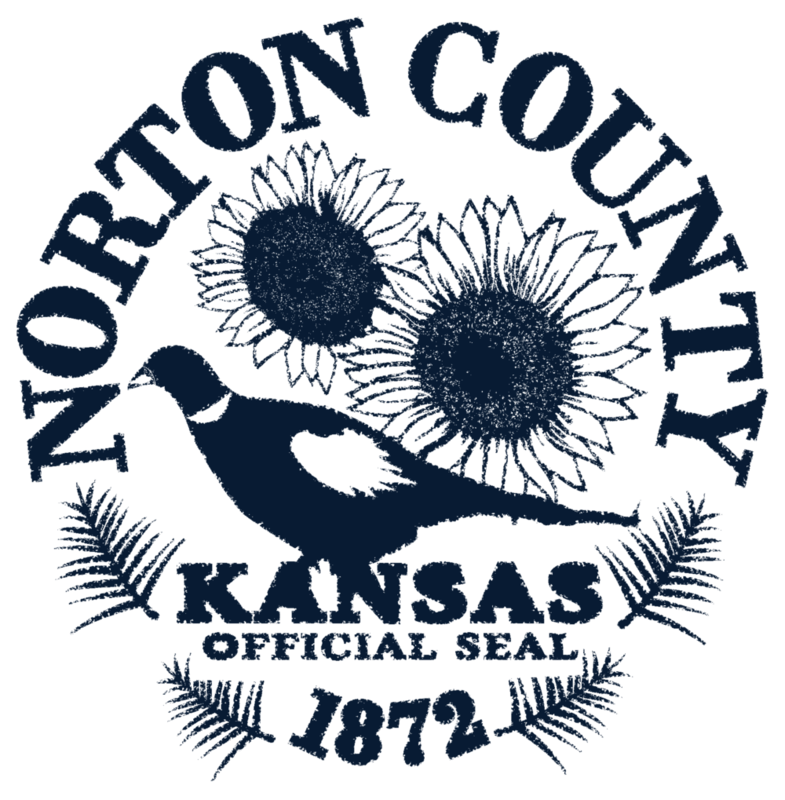 The Norton County District Court is one of six counties within the 17th Judicial District of the Kansas Judicial Branch. The counties include Decatur, Graham, Norton, Osborne, Phillips and Smith. District courts are created by the Constitution. 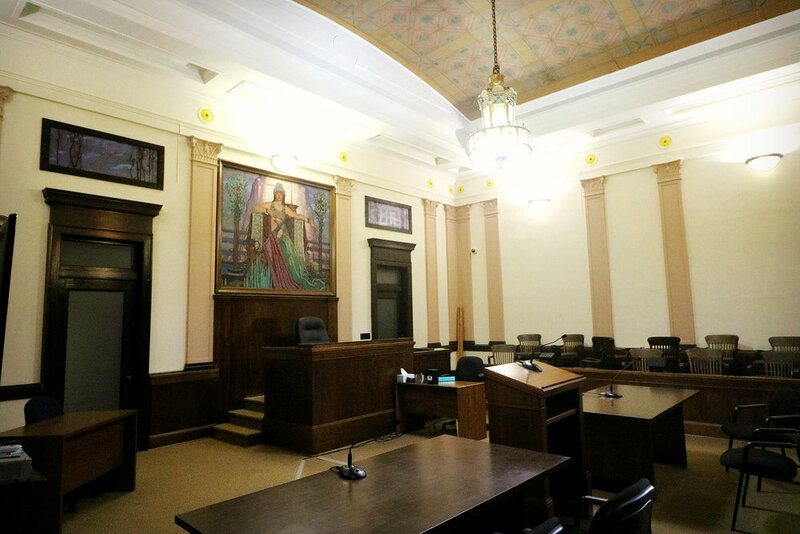 They are the trial courts of Kansas, with general original jurisdiction over all civil and criminal cases, including divorce and domestic relations, damage suits, probate and administration of estates, guardianships, conservatorships, care of the mentally ill, juvenile matters, and small claims. It is here that the criminal and civil jury trials are held. Kansas is divided into judicial districts, with varying numbers of judges in each district. There is a district court in each county, and an office of the clerk of the court where cases may be filed. Where do I get legal forms? Forms for name changes, divorces, expungements etc. are available at www.kansasjudicialcouncil.org. The website provides instructions on preparation and filing. Call the Norton County District Court, 785-877-5770, to obtain information on filing fees and fees for service. If you have a neighbor that is bothering you, can you file a petition for protection from abuse to get a restraining order? What is the difference between a civil restraining order and a protection from abuse restraining order? A restraining order issued in a protection from abuse case must meet certain living requirements and abuse must have occurred. The restraining order issued in a protection from abuse matter prevents the party or parties from being around each other and a violation of the restraining order can result in criminal charges being filed. A civil restraining order can prevent someone from selling, disposing or going on certain property or prevent someone from doing something until a determination is made by the court. Who can perform marriage ceremonies in Kansas? Are there any specific requirements? any municipal judge of a city of this state; and any retired judge or justice of a court of record. The two parties themselves, by mutual declarations that they take each other as husband and wife, in accordance with the customs, rules and regulations of any religious society, denomination or sect to which either of the parties belong, may be married without an authorized officiating person. Can I represent myself in my court case? An individual has a right to represent themselves. By Kansas law, neither District Court personnel , the judge, nor the judge’s assistant are allowed to give legal advice. You are allowed to file pleadings on your own, but if you are not sure how to proceed, what to file, or have legal questions, you should consult with an attorney. Should you desire information on low cost legal services or advice on how to proceed in court, you may contact Kansas Legal Services’ Access to Justice Advice Line at 1-800- 675-5860, or Kansas Bar Association Lawyer Referral Service at 1-785-231-1191. Do you do record searches over the phone? Requests for records searches cannot be done over the phone. Requests for documents in specific cases can be made in writing and faxed to the appropriate court. There are public access terminals available with court case information in each court house. Who can help me collect my child support? An attorney can assist you or you can contact your local Department of Children and Families office and they will direct you to their child support enforcement agency or the 17th Judicial Court Trustee office. If you cannot afford an attorney and are coming to court for a criminal, traffic or juvenile matter, you can ask the court to appoint an attorney for you. To apply for a court-appointed attorney, you will be required to complete an application which includes financial information and the judge will determine whether you are eligible for a court-appointed attorney. You can be required to pay back the cost of a court-appointed attorney. In civil matters, the court cannot appoint an attorney to represent you except under some circumstances of contempt. In Kansas, there are Kansas Legal Services offices that charge rates based upon income. There are also some attorney's offices who do not charge for the first initial visit or they may charge a minimal fee for the first initial visit. Why do I have to pay back attorney fees if an attorney is court-appointed to represent me? K.S.A. 21-4603 provides that persons who are convicted of a crime must reimburse the state general fund for all or part of the attorney fees and expenses paid by the Kansas State Board of Indigents' Defense Services. K.S.A. 21-4610 also provides that persons who are placed on probation or whose sentence is suspended must, as a condition of probation, reimburse the state general fund for all or part of the attorney fees and expenses paid by the Kansas State Board of Indigents' Defense Services. Attorneys appointed on misdemeanor and juvenile matters are paid by the counties and the counties have adopted a policy similar to the state's policy concerning the reimbursement of attorney fees. How do I get my probation transferred? Probation transfers are handled by your probation officer. How do I obtain older Probate Records or marriage licenses? If you wish to obtain a copy of a record by mail, you may contact the clerk's office in writing or by e-mail. In your request, please be sure to include the case numbers or book and page location of the documents that you wish to have copied, if you have that information. The costs for copies and certification are outlined in the Open Records Act Office Procedures. I need a restraining order. This is what people often say to the Court Clerk when requesting an order to protect them from abuse or stalking. However, this term can be confusing, because a restraining order is only one kind of court order. Protection from Abuse and Protection from Stalking or Sexual Assault actions are not a substitute for a Divorce/Custody/ or Separate Maintenance action in situations where the parties are married. You should contact a lawyer to determine if you should also file a Divorce / Separate Maintenance action. How do I seek protection from abuse? The protection from abuse process is designed to provide quick and immediate protection. However, the process may require time, expertise, or more than one court hearing. IF YOU ARE IN IMMEDIATE FEAR FOR YOUR SAFETY, ALWAYS CALL LAW ENFORCEMENT! If you have questions, you should seek help from an attorney or victim services advocate. The Kansas Crisis Hotline (1-888-363-2287) or Kansas Legal Services (1-800-723-6953) may be able to help you find an attorney or advocate. You will need to go in person to the Clerk of District Court office to seek a protection order. How do I seek Protection from Stalking or Sexual Assault? The protection from stalking process is designed to provide quick and immediate protection. However, the process may require time, expertise, or more than one court hearing. IF YOU ARE IN IMMEDIATE FEAR FOR YOUR SAFETY, ALWAYS CALL LAW ENFORCEMENT! If you have questions, you should seek help from an attorney or victim services advocate. The Kansas Crisis Hotline (1-888-363-2287) or Kansas Legal Services (1-800-723-6953) may be able to help you find an attorney or advocate. Procedures may vary from county to county in the state of Kansas. You could check with the Clerk of the District Court office if you are thinking about filing a small claims case in another county. Even though you may obtain judgment in Small Claims Court, the Court is not responsible for collections in the case. However, the Clerk of the District Court office will provide written instructions and form packets to assist you in doing garnishments for wages and/or bank accounts or you may obtain the forms from the www.kansasjudicialcouncil.org. The person filing the case must fill out a form called a Petition. This form is provided by the Clerk of the District Court office. The person being sued must be able to be located so they can be legally served or given an official summons (or notice to appear) in court. It is your responsibility to furnish the address to the Clerk's office. Upon signing the Petition and paying of the filing fee as required, a hearing date is scheduled.